MMAR Medical: Could Better Footwear, Insoles Be the Solution to Football’s Lisfranc Injury Problem? Could Better Footwear, Insoles Be the Solution to Football’s Lisfranc Injury Problem? With college football officially underway and the NFL regular season starting soon after, player safety will be at the forefront of the discussion. While the devastating consequences of concussions will surely hog the spotlight, lower body injuries can be just as debilitating and are statistically much more prevalent, accounting for 50.4% of all player injuries, according to the NCAA. Lisfranc fractures make up a small proportion of these lower body injuries, but Lisfranc’s impact on college and professional football is immense. A Lisfranc fracture is a dislocation of the joint connecting the midfoot and the forefoot caused by trauma or sudden twisting. 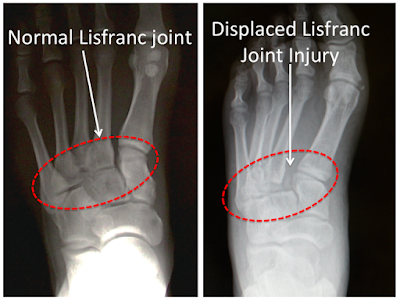 The cause of a Lisfranc injury can be categorized in one of two groups—direct or indirect. The severing of the Lisfranc joint through trauma delivered by an outside force is considered a direct injury. For example, this could occur when a lineman accidently stomps on another player’s midfoot. Indirect Lisfranc fractures, however, are caused by the sudden twisting or rotation of a foot. This typically happens when a player’s foot gets planted forcibly and unnaturally while changing direction on turf. After sustaining the fracture, pain in the midfoot is immense and the vast majority of athletes are unable to finish the game, let alone the season. Depending on the severity, a Lisfranc fracture can even require surgery to realign the dislocated bones and could be a career killer. 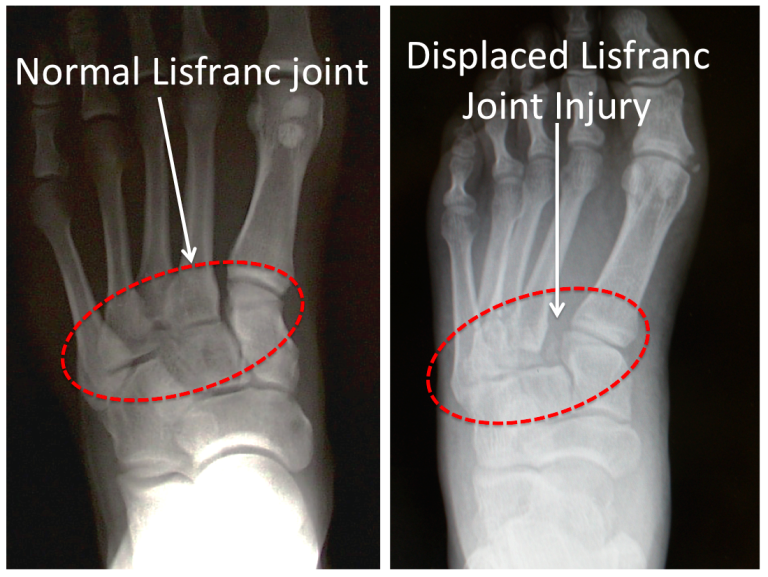 Read a more in-depth Lisfranc fracture explanation at the MMAR Pain & Injury Center. Offensive linemen are typically the most likely to sustain a Lisfranc injury, but college and NFL players in many other positions have suffered from the fracture as well. Jake Locker, Ben Roethlisberger, Dion Lewis, Brandon Marshall and Le’Veon Bell are just a few examples of skill position players that have struggled with the injury in recent years. Locker, a former first-round draft pick, was ultimately unable to return to form after his injury and retired early at the age of 26. One of the most successful signal callers in the game, BYU quarterback Taysom Hill, is returning after being sidelined for an entire season by an indirect Lisfranc fracture he suffered while cutting up field against Nebraska. Just a year removed from a different season-ending injury to his knee, Hill fought through the pain of the Lisfranc fracture and played the majority of the game before finally bowing out. Following the game, he had screws surgically implanted in his midfoot to reconnect the joints and began an arduous 11-month rehabilitation process. Many athletic trainers and podiatrists are pointing their fingers at lightweight, minimalist cleats as the menace behind the increase in Lisfranc injury on the football field. The major athletic shoe brands (Nike, Adidas, Under Armour, etc.) have moved toward technology that emphasizes flexibility and arch support has greatly suffered as a result. This flexibility can allegedly lead to the indirect Lisfranc fractures sustained when changing direction. In order to begin rectifying this issue, Nike partnered with Taysom Hill in the offseason to create a custom cleat with increased arch support to avoid reinjury. With Hill returning to action this fall, Nike will be able to monitor his recovery and expand the use of the custom cleats if proven successful. In addition to new cleats with rigid arch support, Hill was given custom insoles. While most believe that cleats play a factor in the increased prevalence of Lisfranc, others claim it’s simply a result of players progressively getting bigger, faster and stronger. It’s the new norm for lineman to tower over competition at 6’3” and weigh upwards of 300 lbs, and players like this weren’t in the league 20 years ago. 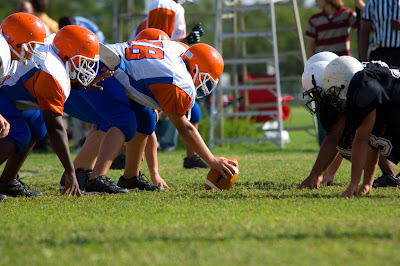 The average weight of an offensive tackle has increased by over 40 pounds since 1980. Another possible factor behind the increase in Lisfranc is the improved ability of trainers to successfully diagnose the injury. In the past, the injury was often misdiagnosed because the hurt Lisfranc joint will sometimes naturally return to its original position before it’s inspected by training staff. Increased awareness has led to midfoot injuries being inspected more closely. Ultimately, the increasing prevalence of Lisfranc fractures highlights the importance of the correct use of orthopedic insoles and athletic footwear. Most modern cleats do not provide the essential arch support necessary to prevent foot and ankle injuries. Players should add orthotics that complement their foot styles. In addition, their shoes should be tailored for the specific position they play, the playing surface (turf or grass) and the outside temperature. Even if you’re an amateur, consult a podiatrist concerning your personal arch support needs before you play on the gridiron this fall. Insoles like the Prothotic motion control sport insole do wonders in ensuring your feet and ankles remain healthy.